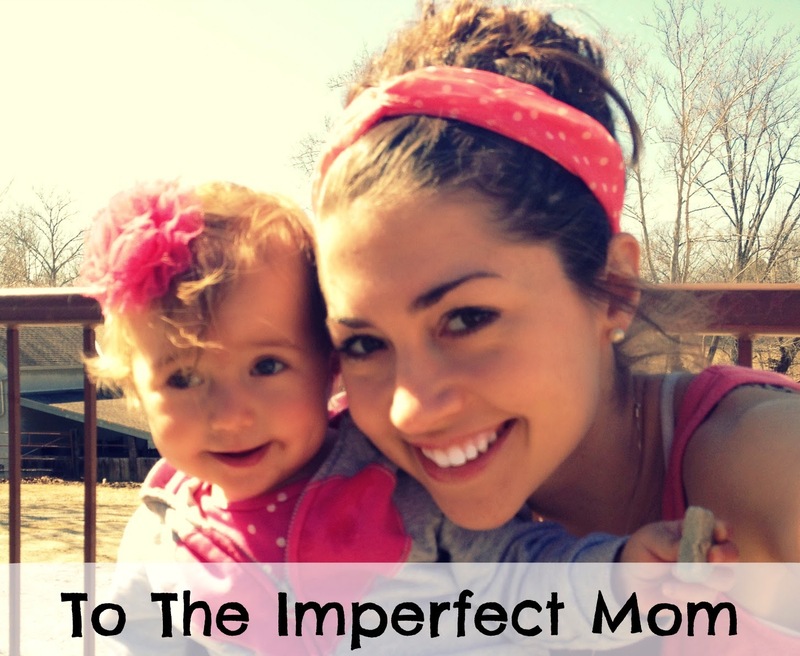 Dear imperfect mom, I'm one of you, and it's taken me a long time to admit it. Oh how clueless I was before having my baby. From the moment I saw those two pink lines, I was resolved to do everything right. I was going to be the perfect mom, and my baby was going to be perfect as well, of course. I was ambitious...or ignorant. Probably both. I was going to exclusively breastfeed, use only cloth diapers, feed my baby fresh, organic, homemade food, always keep her well dressed with combed hair, and never loose my patience with her. Everything was in place. And then she was born. I was prepared for my baby, but not for reality. The fact of the matter is that life with a baby can be hard, unexpected and out of your control. I've had to swallow my pride more times than I can count and admit that I don't have it all together. On the rare occasion, I'm one of those moms whose child smiles and waves from the grocery cart as I compare prices in the isle, but I'm also sometimes the mom whose daughter is tired, cranky and wailing as I frantically toss a frozen dinner in my cart. It's hard for me not to compare myself to the moms who always have it together...I'm convinced they are just really good at pretending. Either way, I'm reminded that comparing is a slippery slope, and can spark a fire of discontentment (more on that here). It's important first of all to remember that every child has individual and unique needs. A mother of a colicky baby will most likely have much less energy and time than a mother of a healthy happy baby, so comparing what we have done to what another mother can do, is not even realistic. It's much more freeing if we stop comparing ourselves to the "perfect mom" and trying to impress those around us with our fantastic mothering abilities. You see, I've learned that I can control my actions, but as much as I would like to, I cannot control my circumstances, or even my daughter. The only thing in my control is how I respond. As mothers, we have the perfect platform to be servants of Christ and our approval should be sought from God rather than our fellow mamas! As I wrote the post earlier this year called, Finding Purpose in Motherhood, we have to constantly remind ourselves that perfection isn't our goal, pleasing Christ is! I'm learning to set aside many of my expectations, and while I am still ambitious when it comes to mothering, I have to realize what's really important. If I get so stressed out cloth diapering, trying to find the time to make and store baby food, and making sure that my daughter doesn't mess up her hair, I'm missing the point. God didn't trust me with this little life to make it perfect for her. He gave me this child to show her Christ's love to and to train her for Him! Yes, often that love is shown by my desire and efforts to help my daughter be healthy, well fed, and dressed nicely, but that's not the priority here. So while I stuck with exclusive breastfeeding because that was something that I felt was important, I will unashamedly admit that I often use disposable diapers, buy baby food in the pouches, sometimes take my daughter in public with stains on her clothes and matted hair, and sometimes I even forget to wipe her runny nose. In fact, a stranger once wiped my daughter's nose with his handkerchief at the children's museum. The horror! But that's a story for another time. This is my life with my baby and I have learned to embrace it, not hide behind it, and not pressure myself to strive for perfection only to feel disappointed at the end of the day. For some of you mamas, perfection may be your reality, and that's great! But if breast feeding just didn't work out for you, you can't afford organic food, the thought of cloth diapers grosses you out, and you can't keep up with your baby's runny nose, don't allow yourself to feel defeated! Those things are not the determining factors in whether or not you are a "good" or "bad" mama. They are just things. Your love, your attitude, your perspectives, your values, and your time are the real things that matter and will stick with your kids much longer than organic food and cloth diapering ever will. That, mama, is worth being imperfect for! Very true words. I can't get over that a stranger used a handkerchief to wipe your kids nose! I am guessing you are referring to a reusable kind that should not be shared! Thanks Chrissy! Yes, it was the reusable kind and should not have been shared. I had no words! This is just what I needed to read today. Beautifully written. Thank you! Aww I'm so glad! Thank you Sarah! You know keeping up with those running noses is just hard!!! :) But seriously, we can't let the little things let that stress us out! Because we have enough big things to worry about. So if sometimes my kids are boogery, stained, and messy I try not to feel bad about it. And I try not to judge other kids I see, as well. I was once running around this parking lot trail and I watched as a young couple obviously fought super loud while their young son played on a nearby playscape. I could hear them screaming at each other above my head phones even. I felt myself getting more and more judgy, thinking about what kind of parents they were and feeling sad for the little boy. But then (and yes I'm a people watcher and nosy) I saw them saying goodbye and I figured out that they were not together still and they were making a kid swap. The little boy did not want to leave his dad and the mom stood there waiting for him to come to her so they could go. She looked tired, worn out, and like she was alone in the world. All the judging thoughts I had slipped away and I thought, I wish I could make her life easier. Because being a single parent is something I cannot even imagine. 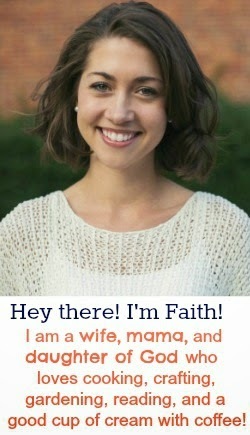 We have to remember that no mom is perfect. We're all trying to do the best we can. Great post. The only "right" choice in motherhood is our time and love to them. Our digital age can distract us from that but you re right all those choices on "things" really don't matter in the grand scheme of things. Great post! Just because we perceive someone's motherhood journey to be "perfect" does not mean that it is, nor does it mean that they are pretending. Just because someone cloth diapers, breastfeeds and makes their own baby food, doesn't mean they have it all together or that they are pretending to have it all together. I think we need to be careful before we assign labels. Even pretending. Oh I absolutely agree! Those are not the specifications I was referring too in regards to having it all together. I'm just saying any mom who "seems" she has it all together, whether she cloth diapers, breastfeeds or makes her own baby food or not, probably really doesn't have it all under control. My point is that we are all in the same boat with motherhood and all have different challenges :) Sorry for the confusion, and thank you for the constructive criticism! Great, great post. I find myself struggling with comparison more than I should- those verses you shared are such great reminders!